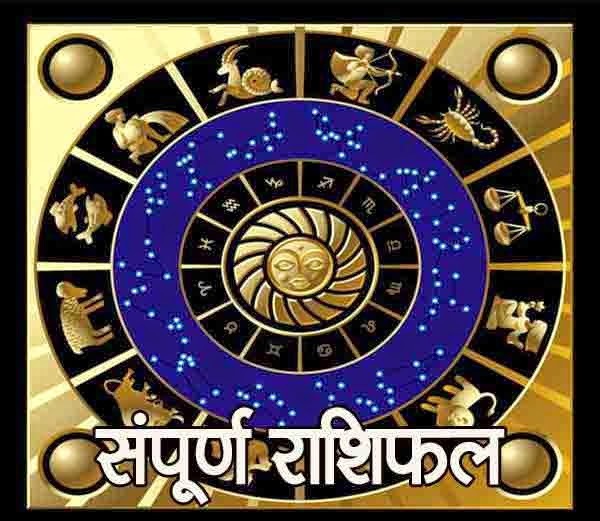 Astrological Prediction for May 2016 Month, May 2016 Horoscope for All zodiac sign. For all the visitor of astro upay, here is the monthly prediction for all zodiac sign for the month May, 2016. here is monthly astrology prediction for May, 2016. Aries: This month will resolve your every financial problem. Luck will also support you. You will get ample of opportunities to make money. However, it would be better if you don’t begin anything new during this phase. Also, don’t make investments in home construction or property. You need to avoid any type of speculation like investing in stock market, gambling, beating etc. otherwise you might have to face losses. Lastly, May is fabulous for promotion and progress in career. Do Surya Namaskar early morning on every Sunday. Taurus: This month demands caution and alertness from you. You might feel stressed and insomnia but after mid of the month, you will feel better. Being humble and polite will help in improving your relation with children. Don’t act in hurry in matters of money. You will be influenced by many people this month which may lead you to accomplish your endeavors with intellect and diplomacy. This attitude will fetch profits for you. Fetch Sun’s blessings by wearing one faced Rudraksha on a Sunday morning. Gemini: You will be occupied with many things in this month. You might loss some opportunities. Be intelligent in all the decisions you take. Comfort might be missing from professional journeys. Long term diseases might pop up. Be careful from diseases possible from water pollution. Moreover, ups & downs are possible in professional life after mid of the month. Donate mustard oil in Shani temple on every Saturday. Cancer: Profits from partnerships are also predicted for you this month. Your relationships with your seniors might not get too cordial this month and some misunderstandings might occur. Additionally, some unexpected things might also occur during this month. Your expertise might help your team to complete your works on time. Business tours are also expected for you this month. It is possible that you might neglect others interest in order to keep yourself in front. If you keep the frog, according to Feng Shui, with three legs and a coin in his mouth it will be very auspicious. Leo: You might feel tensed about your accumulated funds in the starting of the month. You might also become successful in getting increased amount of income with your efforts. The speed of accumulation of money will decrease a bit. Any auspicious event is possible at home in the starting of the month. Time is favorable for you in terms of married life. After the mid of the month, you will become more busy in your domestic works. Wear Pukhraj on Thursday during Shukla Paksh. Virgo: This month you must complete your works with full dedication. However, it might not be beneficial to increase your business responsibilities. Stay away from taking any kind of loans. Change in job is also possible as you might also remain unsatisfied with the rights and responsibilities provided to you at your work front. Time is not good for investing in the share market. If you are a student, you might plan to learn a new foreign language. Chant "Om Namah Shivay” 108 times. Libra: Your expenditures might increase this month. Some financial problems may overpower you this month. You might face mental as well as physical problems during this period. Respect your elders and stay cautious while driving. You must take good care of your food habits. Some stomach related disease might bother you this month. Try to make use of every opportunity as much you can. Do not get lazy and try to complete your work on time. Chant ‘Om Namah Shivay’ 108 times. Scorpio: This month might prove fruitful for you. You must postpone all your new ventures during this period. You might also find good profits in your business. Benefits are also predicted from your siblings. Profits are also foreseen in gambling, betting and stock market. Do not invest in money in any property. Time is also favorable for taking rest. Your interest might get inclined towards religious and other pious works. Start working toward your goals. Offer Panjeeri to the ants to avoid malefic effects. Sagittarius: May is fortunate for accomplishment of your important works. Partnership ventures will bring profitable results. While some Sagittarians will coordinate well with their seniors, others might face tough times with them. You might get transferred to place of your choice. Expenses will not trouble you much, as long as you keep your planned budget in mind. You might face skin disorders this month; it would be good to visit your dermatologist on time. Worshiping Lord Ganesha will eliminate your troubles. Capricorn: To achieve success, hard work is a must this month. Financial issues might give you stress and reasons to worry. Your immunity might get affected making you easily targeted by seasonal disorders. You might face difference of opinion with your seniors or boss. Stay away from illegal works and avoid company of people who are into such things. You might feel lazy, avoid that and try to do everything actively. You will love to spend time on social networking websites. Sprinkle Gangajal in your house to ward off all the negativity. Aquarius: Beginning of this month will bring bliss in your life. Your income will increase and you will make good money. You might think about postponing important works. Businessmen will enjoy tremendous profits and success coming in their life. Money will reach you via betting, profitable deals and stock market. Students will get results according to their hard work. May will let you cherish beautiful moments with siblings and close friends. Be optimistic and handle every situation with spirit of a warrior. Pisces: Beginning of this month might give you worries related to financial life. However, you can keep things in control by planning your expenses and needs. Any religious ceremony is possible in your family. Before taking any major decision, discuss it with your family members. Profits are foreseen in partnership business. Your leadership qualities will improve to a great extent. Arguments are possible among family members due to matters of ancestral property. Keep control on your temper and don’t take decisions in hurry.